In the twenty-first century, one tool that most people don’t let go of throughout the day is their mobile phone. In a survey questioning people about their behavior patterns, a vast majority said that the first thing they do after they wake up is checking their phone. With the modern technology, other activities that would have required separate tools a few decades ago are integrated within these smart technologies. Today, photo cameras are becoming practically obsolete for common people as most smartphones are able to record high-quality images and videos on their own. There is no need to carry a separate calculator, a voice recorder, an audio player. Even a compass can be accessed within your phone. But phones have been able to do all of this for a long time now. There is a change coming, with the world smartphone penetration rate at 32%, more businesses are likely to move their services to these technologies. While doing so, there are some things that they should consider to launch their products successfully. The single most important thing about a mobile application is the user experience. The reason why many people switch to mobile phones instead of using their computers is the convenience that these tools offer. Mobile phones are easier to carry around and are always at an arm’s length. Nevertheless, there are some obvious disadvantages mobile phones have compared to laptops with larger screens and a stronger processing power. In terms of the design, it is easier to build a layout for a larger screen that users will find more convenient and simple to navigate. Consequently, when building a mobile application, it has to have the convenience of a large computer fit into a smaller screen. There are professional UI/UX designers whose job it is to think about the user experience. They come up with an optimal layout and the location of buttons and controls that make for the smoothest experience for the end users. When designing a mobile application, some things might seem right only to turn out lacking in practice. Consequently, before finalizing any decisions, it is important to test the product design. During this process, you might see a need for various changes or additional features that could make the process more convenient. Furthermore, it is important that the product is considered from multiple perspectives. While some people will find one thing more comfortable, others could disagree. The final product should have an optimal design that will be easy to use for most people in the target group. Does a mobile phone actually facilitate an existing process? With the boom in the mobile technologies, many might decide to transfer traditional practices to these tools. While it is true that many services are migrating to mobile applications, not all of them will be received with the same enthusiasm by the customers. People prefer to do some things traditionally. 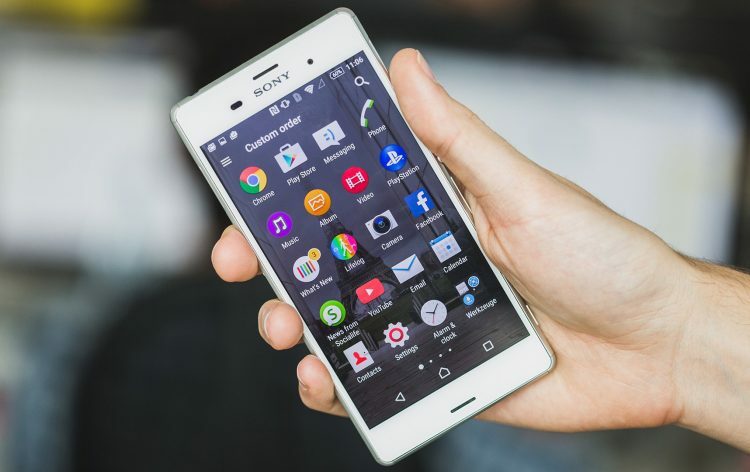 Consequently, before embarking on a project, the authors should pay a lot of attention if there is an actual need to offer the services on a mobile phone or not. One example of this is online shopping, which has proven to be focused more on desktop versions than mobile phones. This could be because it is easier to navigate through a vast catalog on a wider screen where several options can be observed at the same time. One way to gauge the interest of the public is to look at the past performance of similar applications. If other companies had already launched similar projects but they didn’t turn out to be successful, there is a likelihood that it was the business model that lacked the appeal and not the execution. If the project you are working on is completely new and hasn’t been attempted before, you could work with the focus groups to ask them about their preferences and test the appeal of the product. What devices do you want to offer your product on? Depending on what devices you are offering your product on, there will be some differences in terms of design and policies. Policies for Android applications are more lax than they are for the iOS applications. If you want your product to be offered on both platforms, you should either design two different products or follow the stricter set of rules. Furthermore, both platforms have their own design practices and frameworks that the designers will have to accommodate. Building an application for both platforms is pricey, but excluding either one would also exclude half of the customer base. Who are the target users of your services? It is important to know beforehand who the target users of your application are and to keep that in mind throughout the whole process. The services you are offering are likely to be preferred by a certain type of individuals. This could be based on age, gender, interest and so on. When designing the products, all of its aspects should be focused on the target users. For example, if you think that your application will be used by a younger generation that is more tech-savvy, you don’t have to hold back on the complexity. On the other hand, if older people, who are less used to the smartphones, are likely to be the main customers of your services, you should think about making the application easy to navigate. Just like for any other product, laws and regulations are important for mobile applications as well. This aspect will largely depend on the type of service you’re trying to offer. Some applications will not require a lot of thought in terms of regulations, but others might. When you are dealing with users through there phones, issues of privacy emerge as well. Before starting a working relationship with the customers, there are terms and agreements that should be accepted. The formation of this document is extremely important for legal purposes. Furthermore, some of the application stores, like the AppStore of Apple, will have their own policies. Before you are able to place your application on these stores, it will have to go through the screening process and be approved. for this to happen, all of the policies set out by the provider should be followed meticulously. These policies should be easy to access and study on the websites of the providers. If a project you are working on is of a large scale, one developer will not be able to take on all the work. Instead, you will require several developers in the back-end, several in the front end (depending on the number of platforms you plan to launch the application on) along with the design and project management staff. It is important that these people have some kind of previous experience with mobile applications. For developers, there are countless minute details to consider that might only be acquired throughout the working process. These details can always be fixed later, but the product will not be in a good condition the first time it is offered to the customers, which could be damaging to the brand image.